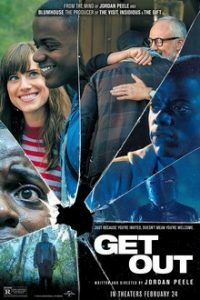 Now that Chris (Daniel Kaluuya) and his girlfriend, Rose (Allison Williams), have reached the meet-the-parents milestone of dating, she invites him for a weekend getaway upstate with Missy and Dean. At first, Chris reads the family’s overly accommodating behavior as nervous attempts to deal with their daughter’s interracial relationship, but as the weekend progresses, a series of increasingly disturbing discoveries lead him to a truth that he never could have imagined. There will be Café food and drinks, and good company! Please note, this screening will have subtitles.